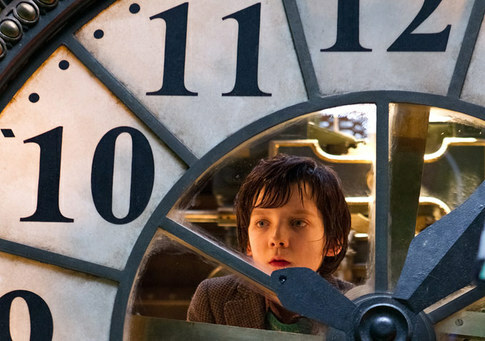 From the opening scenes Hugo catapults its audience into an adventure of wonder and intrigue. The use of 3D magic coupled with digital animation and live actors sets the stage for this wide eyed wondrous cinematic creation. 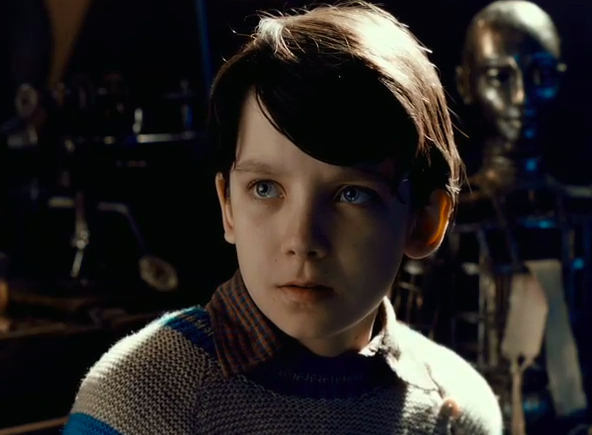 The film boast an all-star cast starring two amazing young actors Asa Butterfield as Hugo Cabret, and Chloe Grace Moretz as Isabelle. The relationship between the two begins when Hugo’s life inadvertently becomes intertwined with the life of Isabelle’s Step Father. Their friendship bonds grow even stronger after becoming aware that both of them were orphaned through the loss of their parents. 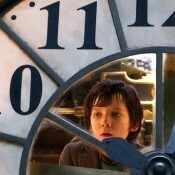 Hugo (Asa Butterfield) is simply amazing in this film made for the entire family. One of the first things I noted was his superb acting ability through his use of his facial expressions. Not since Elijah Wood have I seen this in any young actor. The masterful use of the camera by director Martin Scorsese zooming in on our young protégé’s face peering through a huge mechanical clock, drew in the audience and immediately made us feel that we were about to see the world through the eyes of Hugo! Asa played his part so convincingly that I immediately felt that I was a part of his great adventure and not just a spectator. His supreme ability to show the proper emotions of hurt, pain, loss, and joy throughout the story made this film more than believable. It’s been awhile since any film has made an impact on me like August Rush or Pay it Forward. 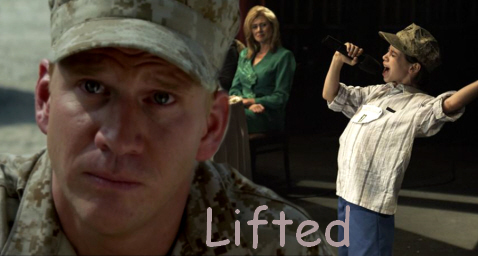 While “Lifted” should not be compared to these two films, it is a unique film that was both touching and aroused the same emotional feelings and response as the other two films. Henry Matthews (Uriah Shelton) is a young, slim built, bullied boy, who is just trying to survive middle school. He was bullied in part due to his mother, who was a recovering drug addict, and the fact that Henry was a misfit in his class among his peers. At the same time Henry was an extremely talented boy who was not only charming and good looking but had a musical skill that stood out above the rest. A chip off the block of his Father, played by (Dash Mihok), who portrayed a Marine reservist and struggling auto mechanic, trying to make ends meet and help his wife with her recovery efforts.